Everybody knows Facebook is a marketing behemoth. But YouTube ain’t no slouch. 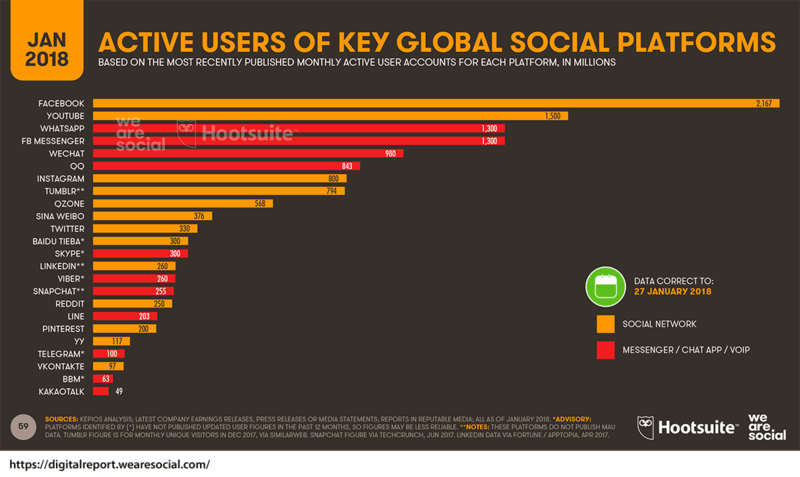 And has the second-largest group of active monthly users. Funny thing, though: In a 2018 survey, YouTube came in fifth in terms of how many marketers are using it. We’d call that a missed opportunity. 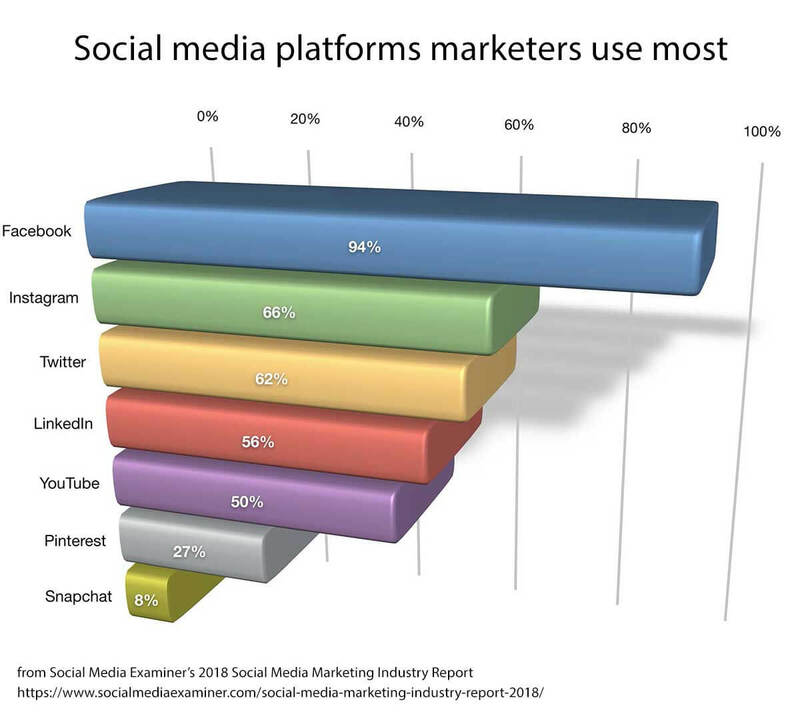 With all those active users, but half the marketing competition of Facebook, YouTube is a great opportunity. 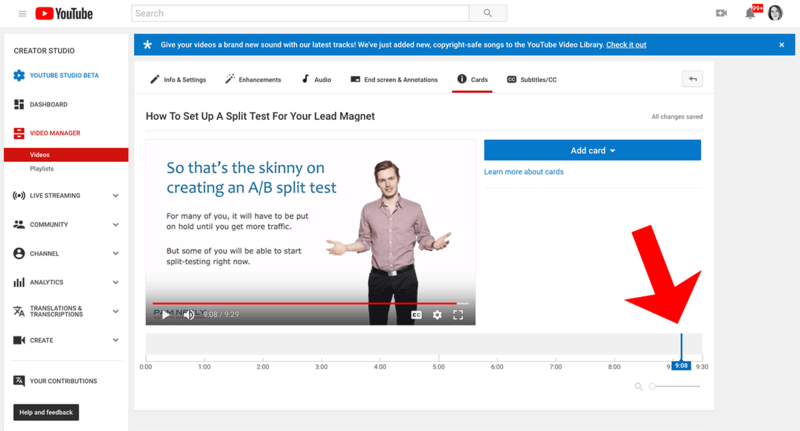 So how can you get in on this action and improve your YouTube marketing? Start by reading through these ten super-easy hacks. 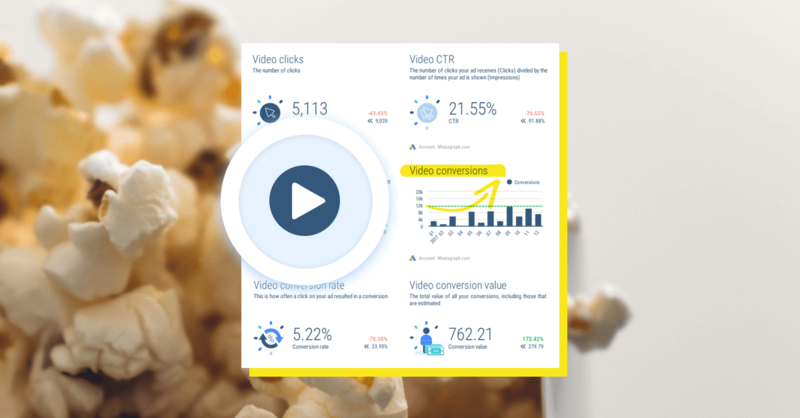 If you apply even one a week, your video marketing should start getting better results. 1. Obsess over the first fifteen seconds of your videos. Have you ever heard the David Ogilvy quote, “five times as many people read the headline as read the body copy”? That same principle is why the first 15 seconds of your videos are so critical. If you don’t nail the opening of your video, many people will just stop watching. Botch it, and people will bail. So all those long trailers at the beginning of videos? Cut them. Make them no more than three seconds, and preferably two seconds. 5-7 seconds: Introduce yourself, your channel, and what the video topic is. 3-5 seconds: Explain what people will get out of the video – basically, why it’s worth their time. Bonus: 2-3 seconds: Tease a special gift (like a free report download) or a special tip if they watch through to the end. That all comes in at 12 to 17 seconds. You decide where you want to allocate those precious first seconds, but please: Make them count. 2. 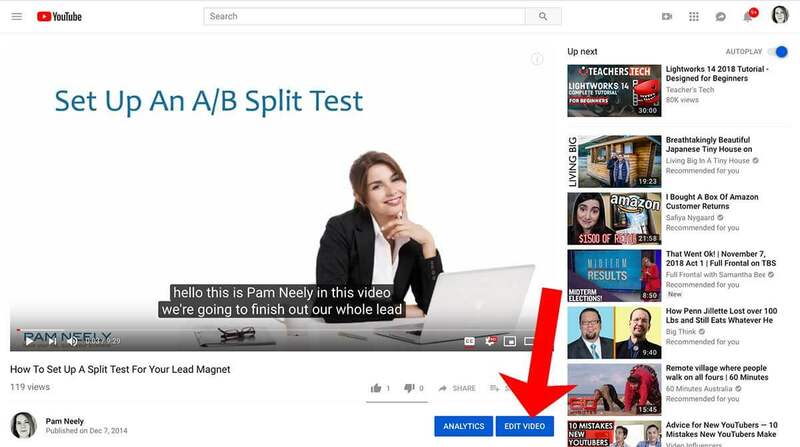 Split-test your YouTube videos elements on Facebook. You put a lot of work into your videos. So why not maximize their performance? Split-testing can help you with that. 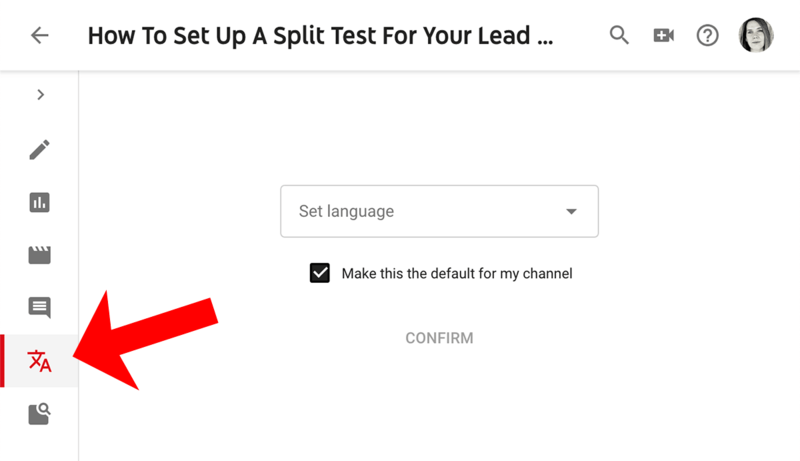 If you take the time to just split-test your videos’ thumbnail images, descriptions and titles, you could potentially double the amount of exposure each video gets – and for not all that much work. 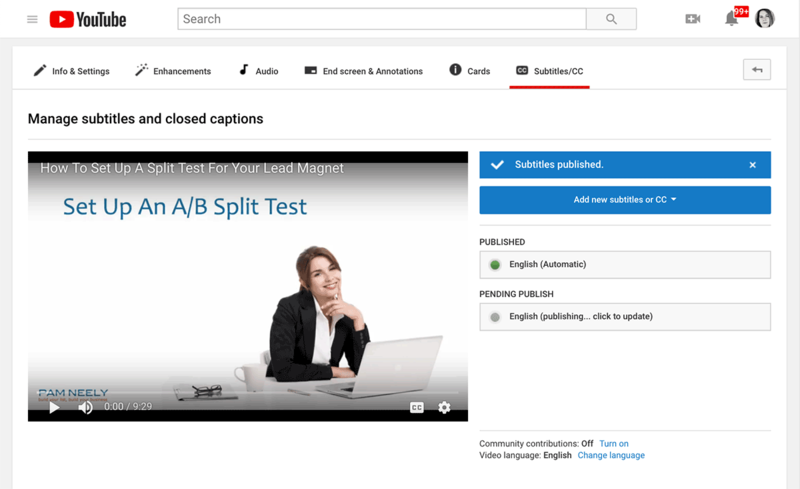 There’s a paid tool called TubeBuddy that will let you split-test thumbnails, titles, descriptions, and tags. 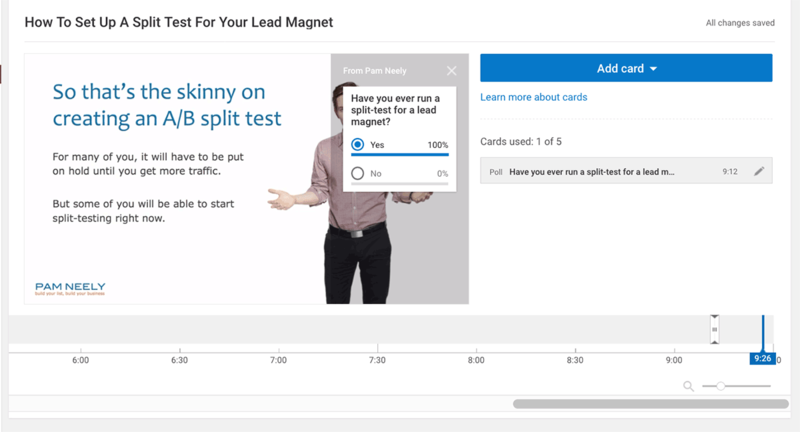 You can use Facebook ads to split-test video elements. 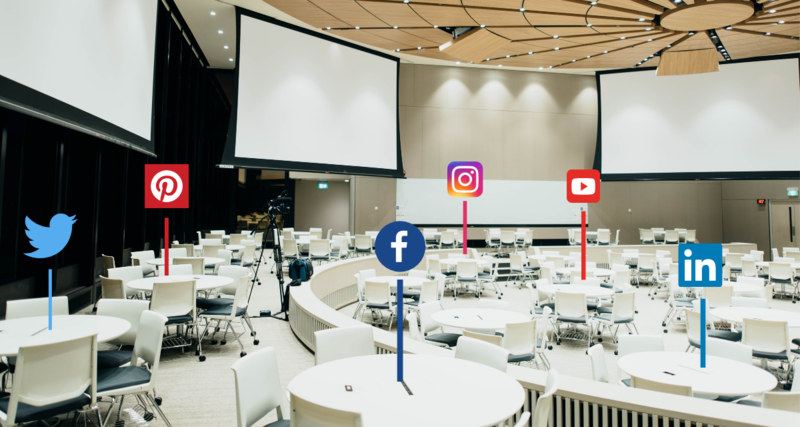 You’ll be testing with a slightly different audience obviously, but Facebook ads are very familiar to most marketers, so the barrier to entry is low. 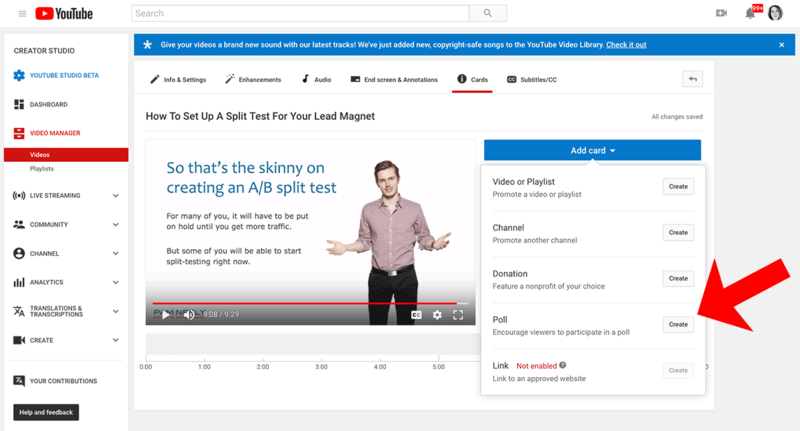 YouTube offers ads, but they don’t currently offer a/b split-tests. You might still be able to set up dual campaigns and see if you could mimic a split test. 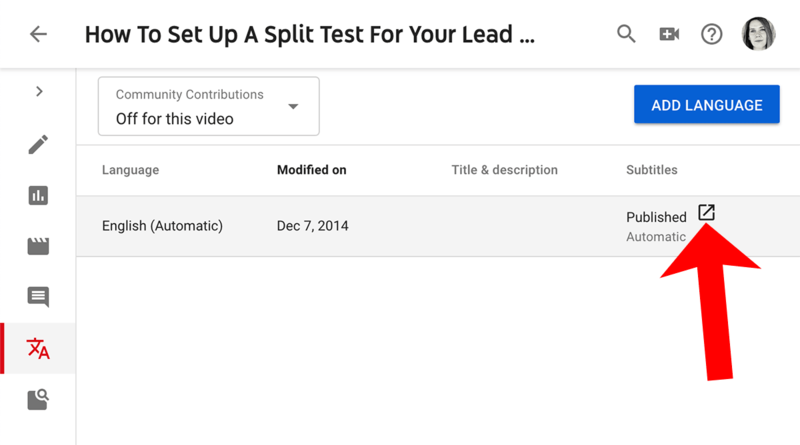 You could use your email newsletter to split-test video elements. 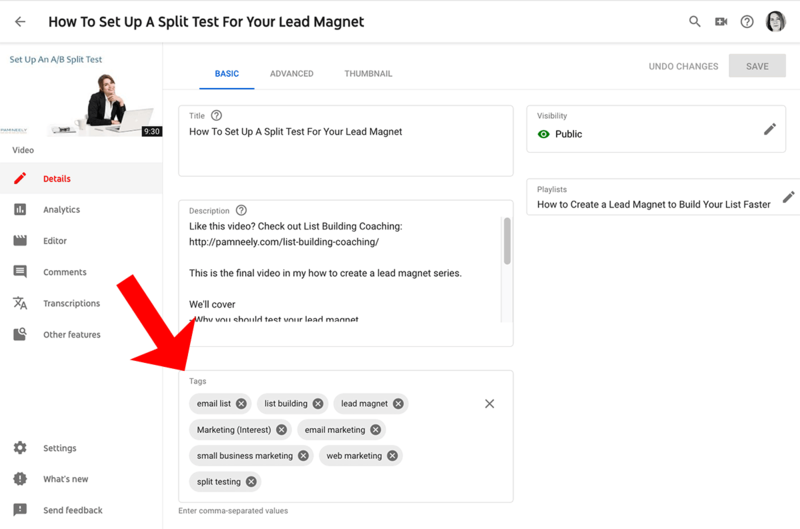 Just send an email message to half of your list with thumbnail A, and to the other half of your list with thumbnail B. It’s not as sophisticated as other options, but it is free. 3. Add a poll to your YouTube videos. This is a really easy way to try out YouTube “cards”, which are cool enough to warrant their own blog post, but we’ll stick to this one tip for today. Go into YouTube Creator Studio Classic and find the video you want to add a poll to. Select “Cards” from the Edit pull-down menu. Choose what time during the video that you want the poll to appear. I’m adding the poll to this video right near the end. Then click the blue “Add card” button and choose … “Poll”. Add the poll questions and answers. The poll question will appear right when you set it to appear. The question will be visible for about six seconds. After people fill out the poll, they’ll be able to see how other people have voted. 4. 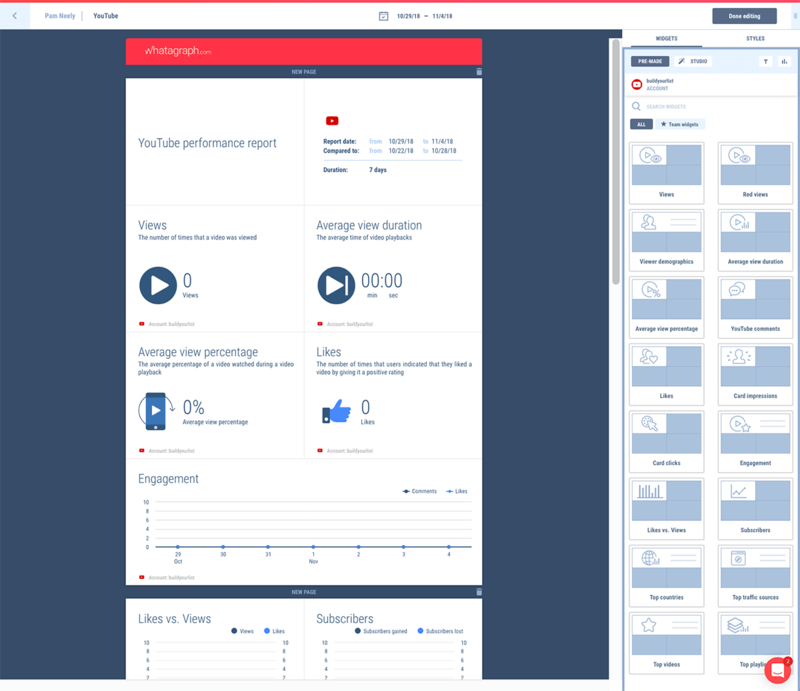 Hook up your YouTube analytics with Whatagraph. If you want to grow your YouTube following as fast as possible, it’s important to check your analytics reports regularly. 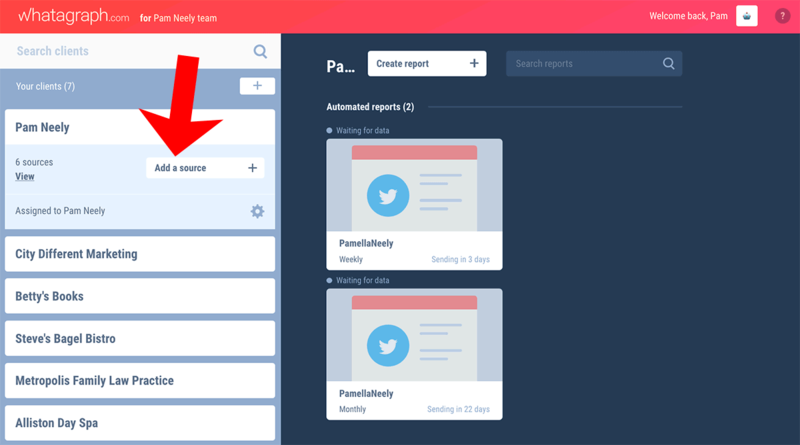 Whatagraph makes this easy, and once it’s set up, you can automate your reports. Log into your Whatagraph account and click the “Add source” button. Next you’ll see two Google pages. 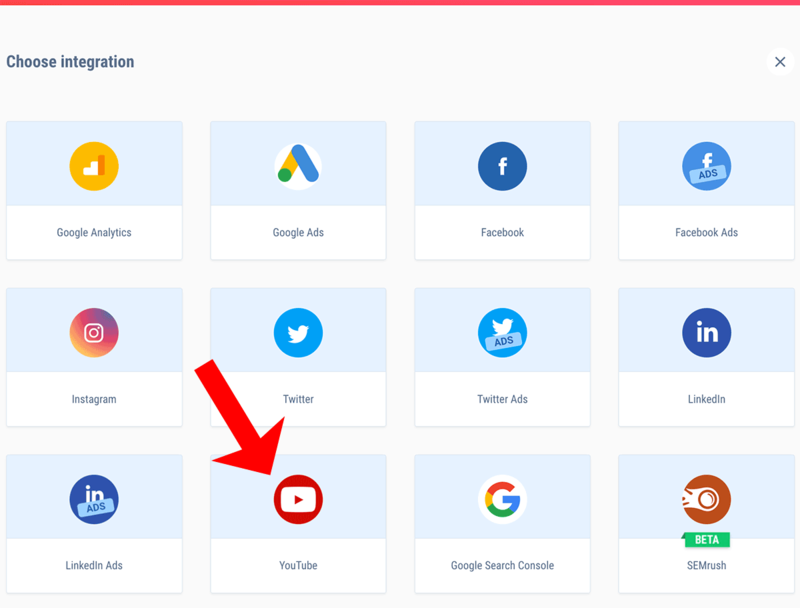 The first will ask you to first choose which YouTube account to connect. The second will ask you to confirm that connection. Click yes on both pages, and you’ll be brought back to Whatagraph, where you’ll do the last confirmation to link your accounts. Once you click the “Connect 1 source” button, the accounts are linked. You’ve added a new source to your Whatagraph account. Setting up the report is next. It’s pretty easy, as there’s a default YouTube report template. The information will begin populating after you’ve set up the integration (i.e., you won’t be able to pull in historical data). 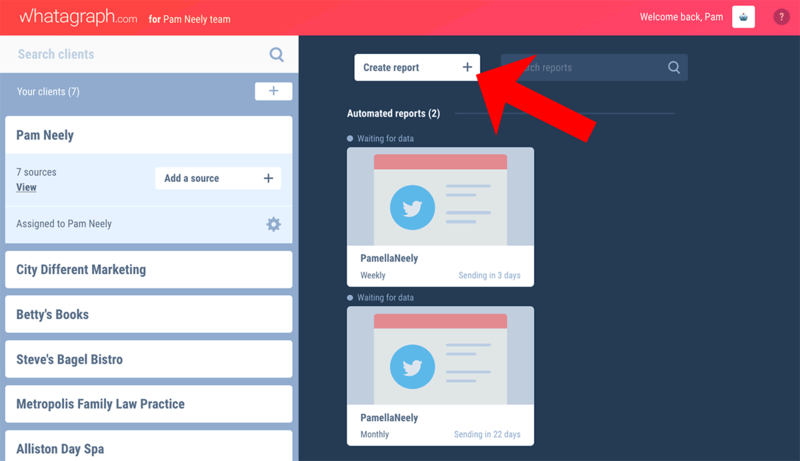 From the main dashboard of your Whatagraph account, click “create report”. 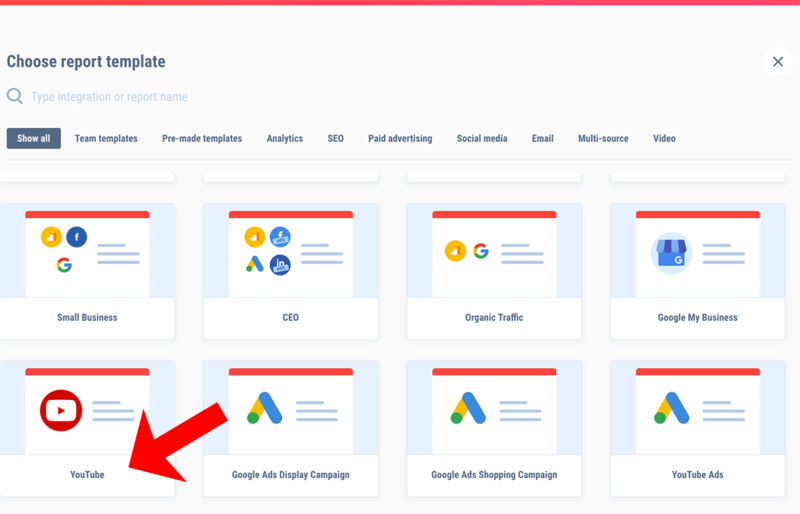 There’s also a YouTube ads report, if you want to track your advertising, too. 5. Experiment with different types of videos and video length. 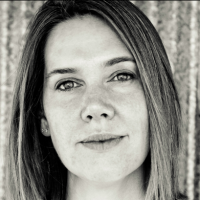 Ever heard of a “content audit”? 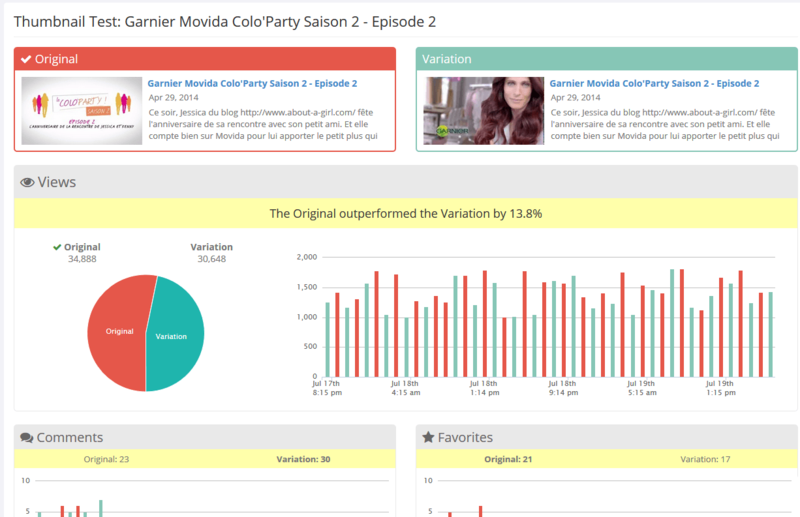 It’s when you access the performance of all your content, looking for similarities among the best-performing content. 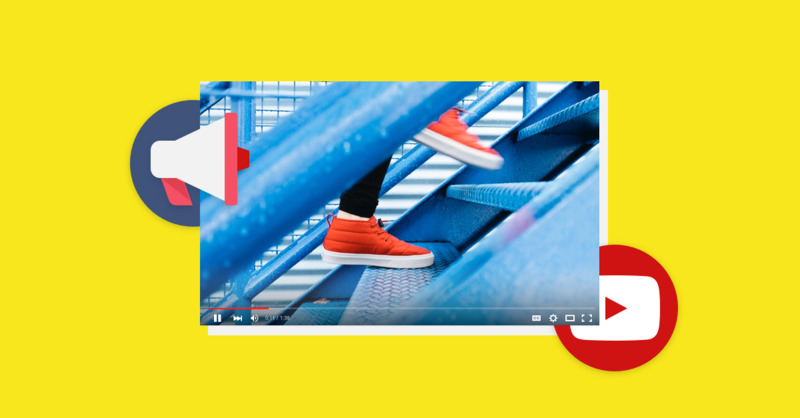 With videos, for instance, you might want to see if a particular type of videos, or any particular length of video works best. Trouble is, you have to have made those different types of videos and video lengths to be able to tell if they’ve worked. Also make videos in different lengths. 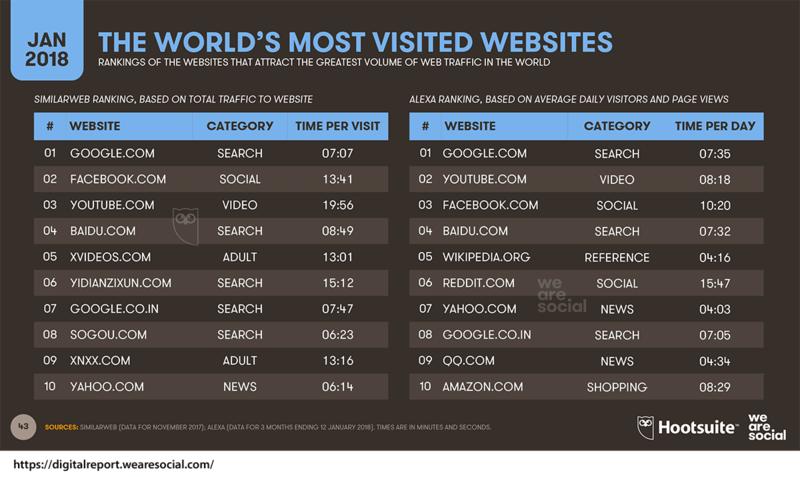 As you probably know, YouTube is better for long videos than the other social media platforms. 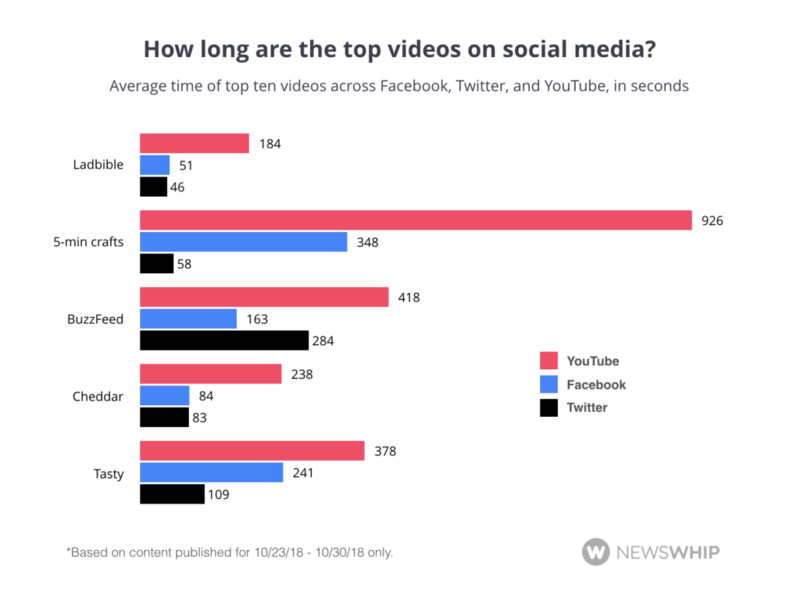 While short, one-minute videos tend to do well on most social media platforms, YouTube really shines with longer videos. “Longer” as in anywhere from three to sixty minutes. So try making a few videos that are, say… three, seven, ten, 20, and 30 minutes. You’ll need to make at least three to five videos of each length to be able to look back at your analytics later and see what’s worked best. Why try this? Because you don’t know what’s going to work until you try it. Some things that we think will do great just flop, and then other things (which we thought wouldn’t work) end up working really well. 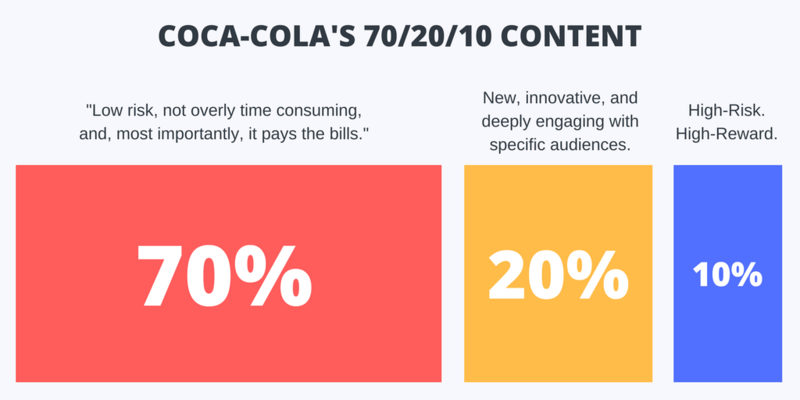 To give you one last nudge of encouragement to try something new, here’s how the marketing goliath Coke manages its creative projects. If you took 30% of your existing content creation, and shifted it into more experimental projects, what would that look like? 6. 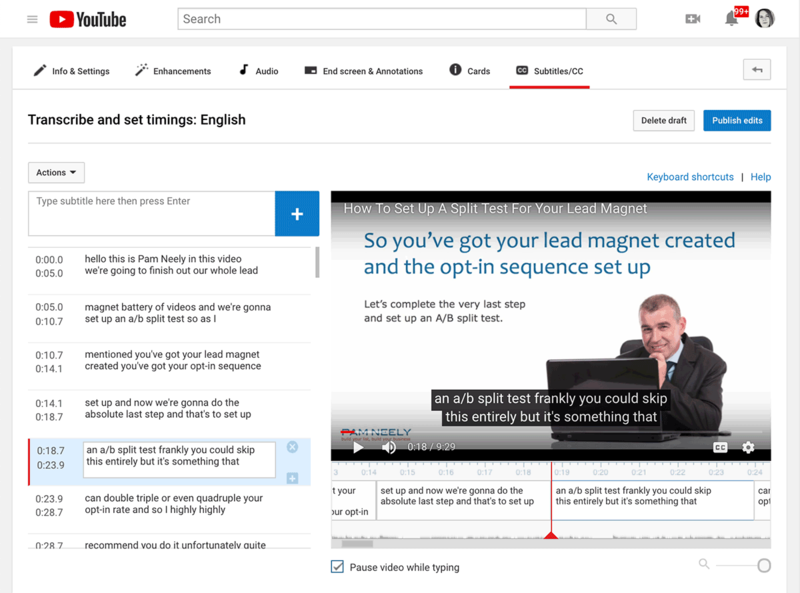 Add – and edit - a transcript of your videos. Want to get more visibility for your videos? Who doesn’t! Part of achieving that is to optimize them for searches, and adding or editing a transcript of your videos is an excellent way to do this. 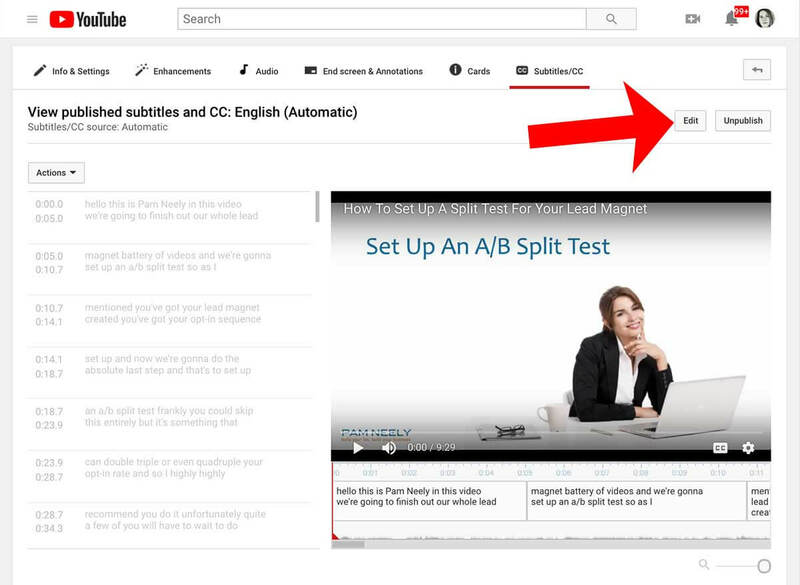 To edit a transcript, log into your YouTube account and go to the YouTube Studio. Pick the video you want to edit the video for. Mouse over the “Subtitles” status until the little checkbox appears. Edit away! Pro tip: Notice that little checkbox below the video timeline? Having the video stop any time you type makes editing transcripts way easier. 7. 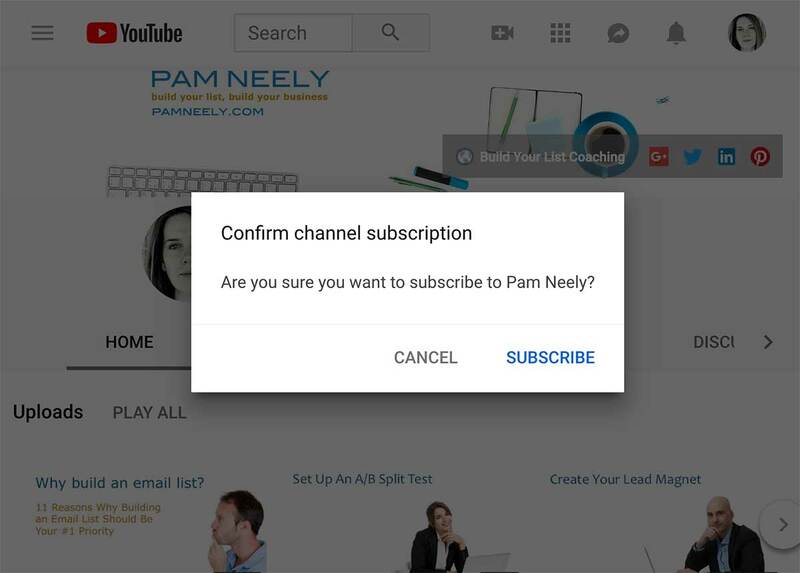 Create a link so people can subscribe to your channel – from anywhere. You want more subscribers to your YouTube channel, right? So make it easy for people to sign up. Give them a link that lets them subscribe with two clicks. Click the “My channel” option. Delete everything after the question mark in that link. So the link should become something like this (but with your channel’s unique identifier:https://www.youtube.com/channel/UCVhS6hzAYueOZn4UOKzxE6Q? Test the link just to be sure. Paste the entire new URL into your browser’s top line. 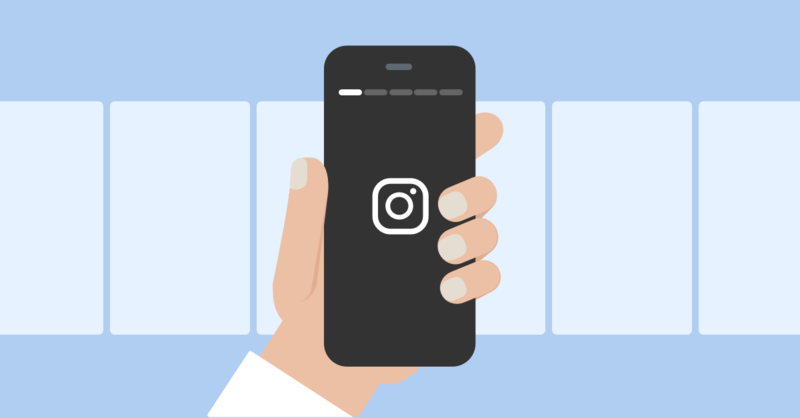 A social media profile. For example, LinkedIn lets you add a couple of links to exterior sites. 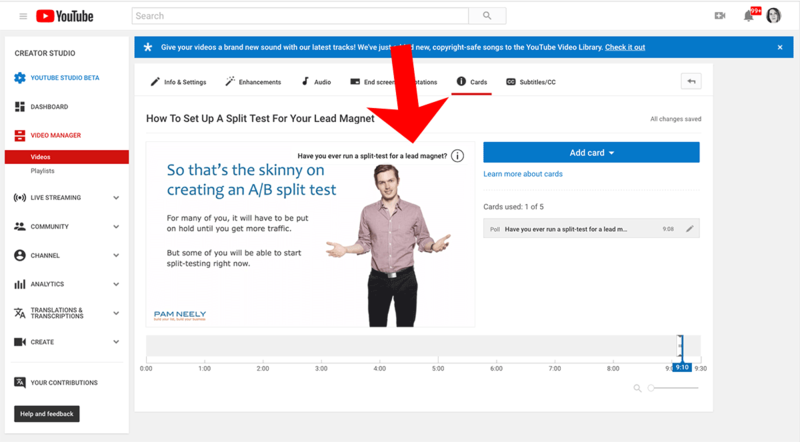 You could embed a link like this in your LinkedIn account to build your YouTube subscribers on LinkedIn. Anywhere else you can add a link. 8. 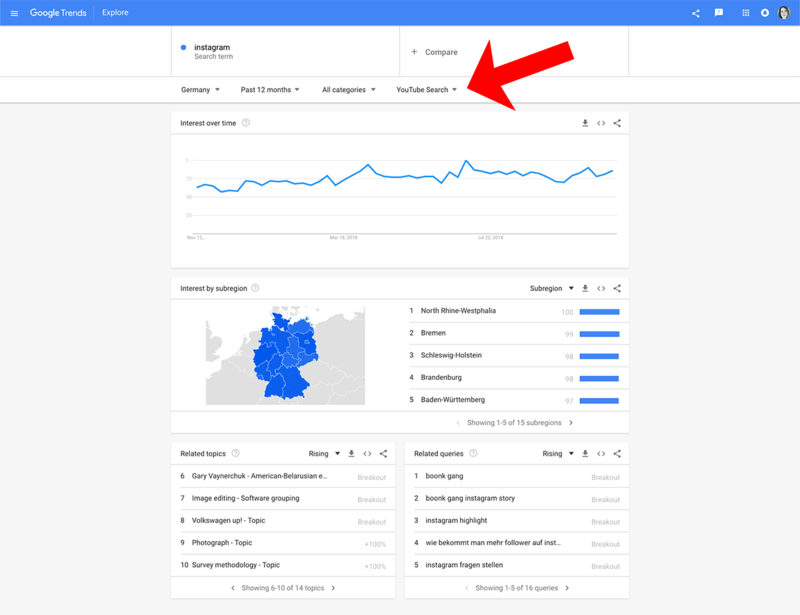 Get content and keyword ideas with Google Trends. Before you title a video, or choose words for your video’s description, take a quick tour of the keywords you’re considering with Google Trends. Just select the YouTube option, as below. The breakout terms (in the lower-right corner) are also excellent if you want to develop new content ideas. And consider sprinkling in a couple of related terms (if they are truly relevant) from the lower left column. 9. Add tags to get more visibility. 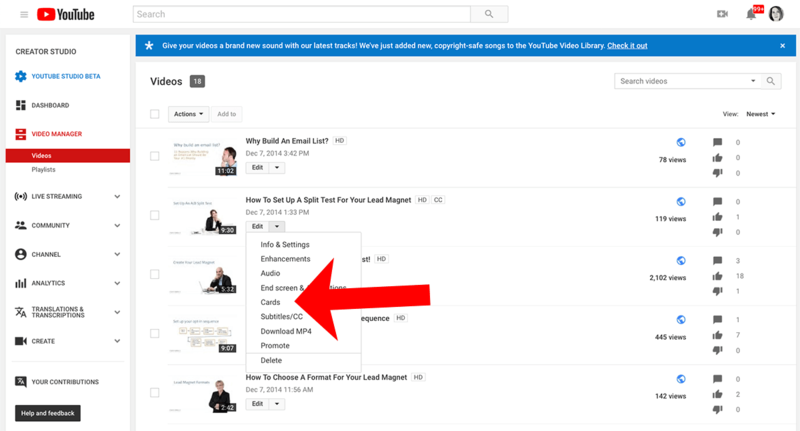 One of the ways to optimize your videos is to add tags. To edit the tags for a video, just be logged into your YouTube account and go to the video’s page. Click the blue edit button. Now, these are the tags YouTube put in for this video. They’re a good start, but we can do better. For instance, I might want to go to the YouTube search field and type in a few keywords related to this video, then add a couple of long tail keywords (keywords of four words or more) from that list as tags. I might also want to add a couple of keywords based on my own keyword research for this topic. And I might want to add a couple of keywords that refer to topics within the video. It’s a good idea to have two to three one-word keywords, then at least a couple of two and three-word keywords. 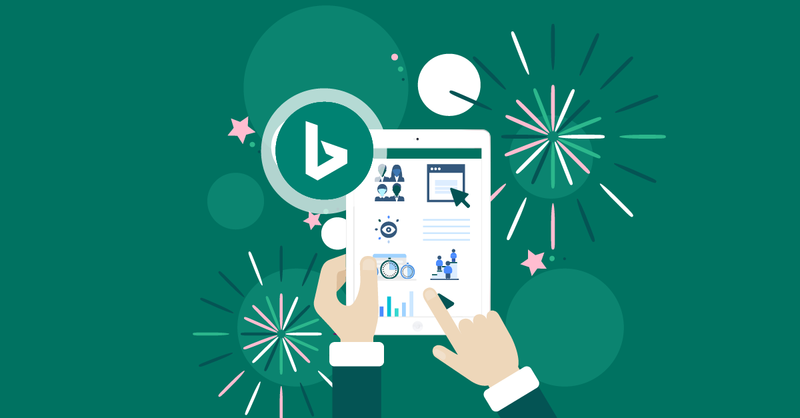 That way your video may rank for both high level searches, and for more detailed searches. Just don’t go too crazy adding tags – any more than about a dozen tags gets to be a bit much. It will dilute what Google thinks your video is about. There are also a couple of tools you can use for tag research. TagsYouTube.com will give you suggestions for free. You can also see the tags your competitors are using with the VidIQ Chrome Extension. They also have a paid service that offers some really helpful YouTube keyword tracking and discovery features. And for even more keyword tracking power, check out TubeBuddy again (mentioned in hack #2 for a/b split-testing). It has similar research features. 10. Make any YouTube video into a gif. This is so easy. Just find the video you want to create the gif from on YouTube. The entire video will populate on gifyoutube.com. 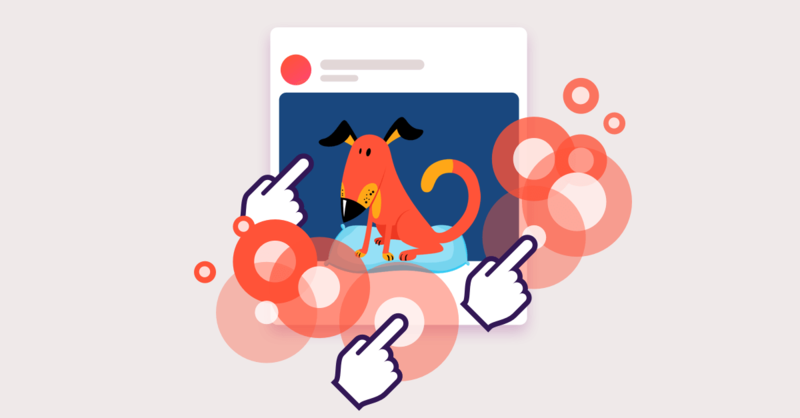 You’ll be able to choose which segment of the video you want to make into a gif, and you’ll be able to add some other features to the gif, like captions, stickers, or a blur. To find more hacks… Watch the pros.